It was one of nature's most impressive displays of power. Mount St. Helens erupted, sending a column of ash and smoke 80,000 feet into the atmosphere. From that chaos, something beautiful emerged... our spectacular Helenite Earrings Set. Produced from the heated volcanic rock dust of Mount St. Helens, this brilliant green creation has captured the attention of jewelry designers worldwide. Today you can wear this 1-carat stunner for our exclusive low price! Your satisfaction is guaranteed. 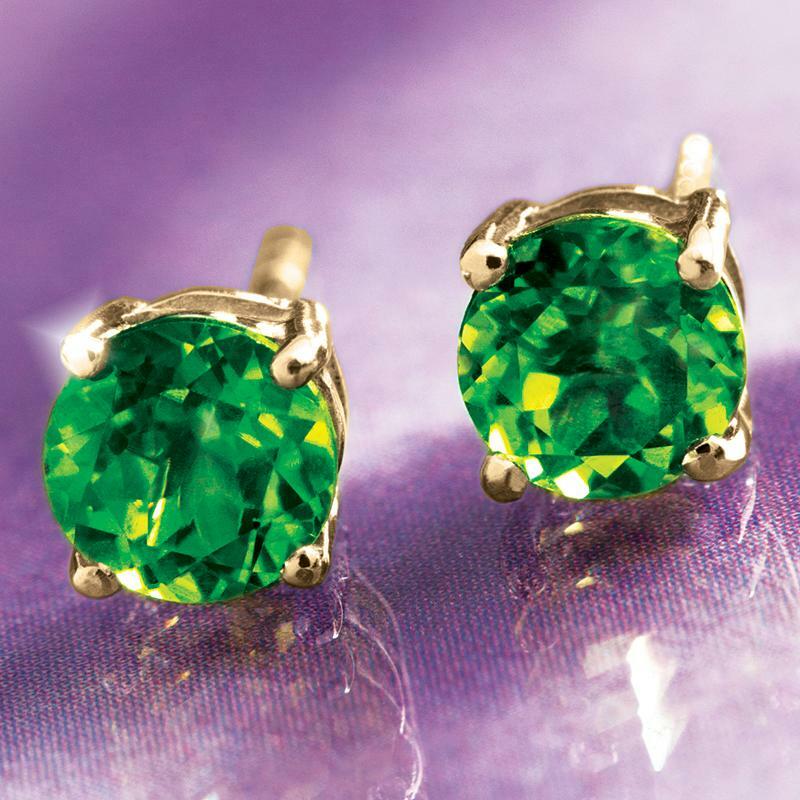 Our Helenite Earrings put the gorgeous green stone center stage, with a faceted pear-cut set in .925 sterling silver finished in luxurious gold. The explosive origins of the stone are echoed in the flashes of light that radiate from the earrings with every movement. Today the volcano sits quiet, but these unique pieces of natural history continue to erupt with gorgeous green fire.